Join your Bloomfield neighbors in a friendly game of BOCCE! Bring friends, neighbors, and snacks as we play a casual, friendly game of Bocce. Never played before? No worries! All levels & all ages welcomed! Bring some snacks for our snacks table! Bocce is a game very dear to the hearts of young and old Bloomfielders; come learn how to play and meet some neighbors! 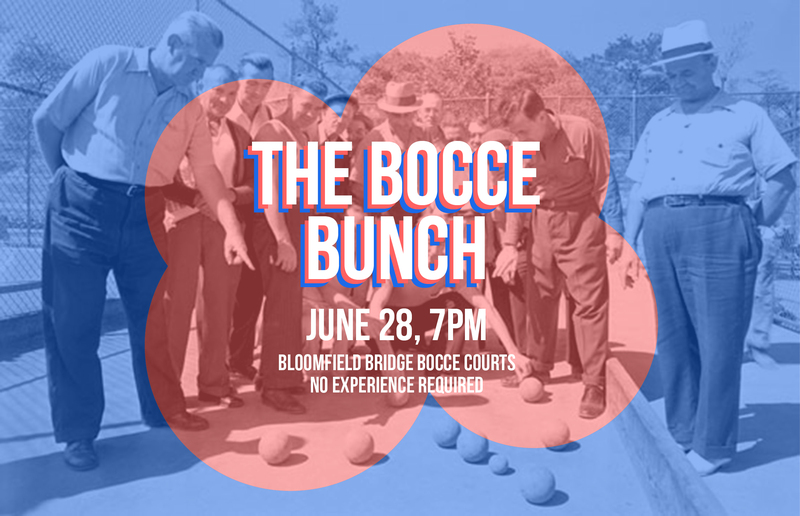 We hope to also discuss possibly making this meet-up a monthly event, with the goal of bringing the multi-generational community of Bloomfield together around a common activity – BOCCE!